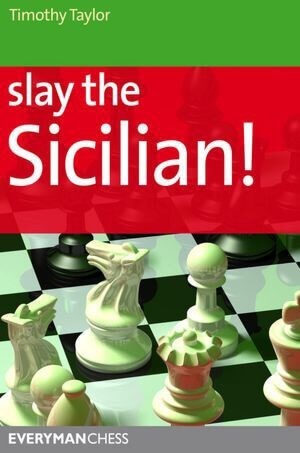 EBOOK - Slay the Sicilian! Former US Open Champion Timothy Taylor presents a repertoire for White against the most popular opening in chess – the Sicilian Defence. Taylor's repertoire is based first and foremost on the Open Sicilian, which is regarded as White's most ambitious and challenging response to the Sicilian. He focuses on the classical Be2 lines, which were popularized by the success of former World Champion and chess legend Anatoly Karpov. These lines are easy to learn and generally lead to solid positional play, but with a drop of poison. International Master Timothy Taylor is an experienced tournament player who has enjoyed several notable successes. He is an accomplished chess writer who is renowned for his entertaining and thought-provoking style. You're reviewing: EBOOK - Slay the Sicilian!